Over the years I have seen plenty of argument for and against them. 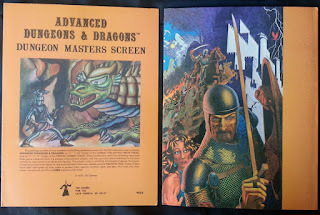 I have used a DM screen since my earliest game sessions in 1983. 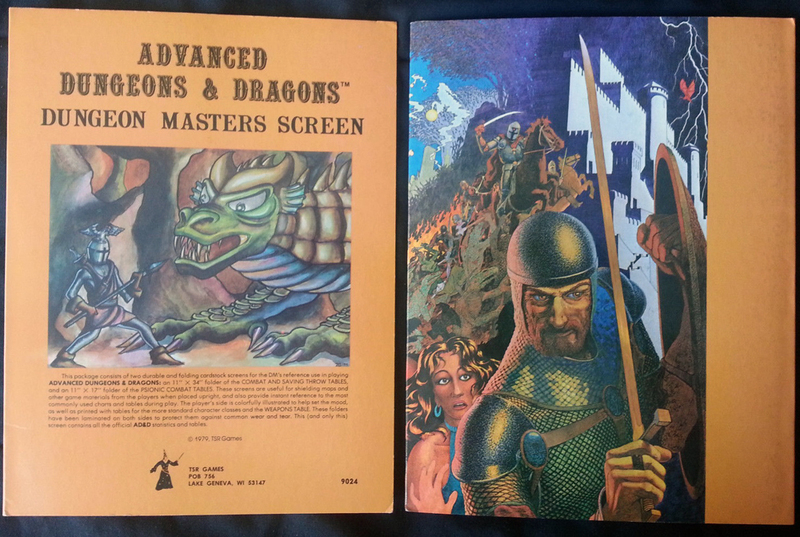 Back then when playing AD&D, it was originally so I could easily reference the attack matrices. But as I started to grow as a storyteller the screen began to add a sense of mystery to the table. In those earlier days I often would spend hours drawing NPCs, locations, and treasures. I wanted everyone at the table to have a unified vision of certain things. Being able to spread them out behind my screens before the big reveal was very helpful. The sense of the unknown that the DM screen provided just became part our table sessions. Fast forward to 2016, and I still use a screen but not in the traditional sense any longer. Now I use it to hold tokens, conceal enemy miniatures, and keep handouts at the ready. Sure we are all adults, but that simple barrier helps to make sure surprises are not spoiled. My screen also serves as a tool to display my initiative tracker, which are simply close-line pins with all the player names on them. Having it elevated and in plain view helps to speed combat along and put players on notice when it’s their turn. The argument against using a DM screen as I do, or for reference, always involves dice. Some DM’s prefer being completely transparent by rolling everything in the open. My own style is to roll the majority of the time behind the screen. Then for the big moments I roll in plain view to create tension and get everyone on their feet. Another concern often voiced is not using a screen prevents temptation for a DM to fudge a die roll. At the end of the day, role-playing games are a social activity designed to create a fun experience together. The dice can be cruel masters and the players suffer them every time they roll already. No DM should be ashamed to occasionally fudge if it moves the story forward in a positive way. Sometimes the dice are there just to make noise. If the players don’t trust the DM to play fairly then perhaps they should consider other options. The other argument is that anything which separates the DM from the players is detrimental for the game. Three decades and thousands of hours at the table later, I cannot agree with that statement. Never once has a player pulled me aside and said, “Hey…umm…that screen makes this experience feel more adversarial and less collaborative.” That being said, I respect the style choices of other Dungeon Masters, even if I don’t agree with them. Now in terms of gear, I use a Dungeon Master’s Keep, originally purchased from Gale Force 9. I find the visual of a castle at the table adds several levels of badassery to the environment. The dice tower allows the DM to easily roll dice onto the player’s side of the table. I’m not sure of its availability any longer, but Fat Dragon Games currently makes a cool paper cut version. I recently ordered the Curse of Strahd DM screen even though its usefulness may be limited. I will probably use it specifically for those sessions just for unique campaign atmosphere. For game conventions I usually go full DIY and clip together several three ring binders. The portability and cost effectiveness of this method is excellent. Plus being able to customize the art with your own inserts makes it easy to switch from a fantasy game to a sci-fi game in literally seconds. This 2012 video, by Jeremy Tully, shows exactly how to assemble your own DIY screen. Check it out; every screen using DM should have one in their convention pack. So what type of screen do you use? Also does anyone have any fun stories involving their DM screen? I had a player once who became a legend for tossing dice when they repeatedly rolled a one. During one particular incident, it ricocheted off the wall and into my screen. Since that day I always tell players my screen is an ablative dice barrier!